Hello and Welcome back to Wardens of the Midwest! My name is Joe From Cincinnati and, in regards to Legend of the Five Rings, I talk about Crab stuff mostly. There will occasionally be some general stuff thrown in, to keep the other clans occupied, but we’re all about the Cobalt Blue here :D.
This article is an examination on whether or not playing defensively and, more specifically, attempting to win on defense is worth the effort. This is an interesting question for me because, whenever I speak to players about Crab, it keeps coming up that Crab is a “defensive clan.” They turtle up and protect their provinces etc etc. Do the Crab have cards that make you want to defend? Sure. But those cards mainly serve to generate advantage from successfully defending. Many of them don’t actually help you win on defense. So it’s difficult for me to define Crab as a defensive clan if very few of their cards actually help them win defensive conflicts. What are the cards in the current card pool that are considered ‘defensive’ in Crab? Borderlands Defender, Borderlands Fortification, Defend the Wall, Hida Tomonatsu (ugh), Hiruma Ambusher, Hiruma Yojimbo, Staunch Hida, The Mountain Does Not Fall, and then their stronghold, Shiro Nishiyama right? One key thing missing from nearly all of these cards, other than the stronghold and the Ambusher: Strength buffs, bows effects, send homes or, really, any kind of way to help you win said conflicts. Instead of giving Crab cards that would allow them to win on defense, they instead decided to give us cards that reward you for already winning defensive conflicts (but don’t help you win said conflicts), but are literally blank text boxes if we don’t defend with them (such as the Staunch Hida, Borderlands Defender, Hiruma Ambusher and Hida Tomonatsu [ugh]), or actively hinder them from doing anything but defend, barring movement abilities (as with the Yojimbo). And then Borderlands Fortification is just a bland +2 province strength (incidentally, the single weakest stat in the entire game) that’s main purpose is moving good cards out of the way prior to them being discarded due to their province being broken (or sitting on a broken province already). The Hiruma Ambusher is a nice defensive card, I’ll give it that. Stopping a critical action can help a lot in winning the conflict, but in exchange he’s way overcosted for his stats (compare him to Cloud the Mind and realize that you’re paying 1 more fate for a 2/2/0 and the effect only lasts one conflict, which must be defensive, rather than ‘until this attachment is removed or the character leaves play’ and also only affects triggered abilities rather than all text) as his 2 strength in either conflict is typically provided by a free attachment (Fine Katana or Ornate Fan). I’m not overlooking the fact that a character is different from an attachment, just talking strictly what it adds to a conflict in regards to helping you win said conflict. So, when you’re defending a conflict you have, at most, 2 additional actions that directly benefit you in winning on defense. One of them, your Stronghold, is often directly countered (or cancelled out, if you will) by your opponent’s stronghold effect (since most stronghold effects generate approximately 2 strength of value during their designated conflict type) unless you defend with 3 or 4 characters. The other depends on what your opponent is doing (has an action worth blanking). If your opponent is winning the conflict by sheer numbers, then the Ambusher doesn’t do much to help you win that conflict on defense either. Other than that, you are spending just as many (if not more because attackers win ties) cards and characters than your opponent in an attempt to win on defense and trigger Defend the Wall/Staunch Hida, since none of your cards are more powerful on defense than they are ordinarily. In a display of cruel irony, not only is Hiruma Yojimbo handicapped by her text box, but she also happens to be a ‘defensive’ character that you would rather attack with (hence why so many Crab players love Favorable Ground and Favored Mount with her). That’s not a defensive deck. That’s a deck filled with cards that are out of place in the current card pool. When I think of defensive cards, I think of cards that help you win on defense. Mirumoto’s Fury is a perfect example of what I would define as a defensive card. Political Rival is also a fine example of a good defensive card. These cards serve a purpose in winning (or negating) conflicts that your opponent declares. The Rival even does double duty, as he’s a wonderful attacker, due to covert, and a wonderful defender, as he gains 3 strength when defending. In addition to all that, you’re also potentially committing more characters to defend in order to strengthen your stronghold action, which may not be the best use of those characters in the long run, since the most direct way of winning is breaking provinces on offense (Which you generally need characters to attack with in order to do). All this is not to say that I don’t value defending conflicts. I think defending conflicts is critical to having success in this game. However, I don’t think you need to actually win on defense in order for a defense to be successful. Preventing the break is more than sufficient most of the time. So that’s how I play Crab. I use just enough characters and just enough strength in conflict to prevent the break. Or, if my opponent is determined, I force them to use more actions than they normally would have to in order to get the break. This feeds into my ideology regarding hand control. If you do just enough to force them to play more cards out of their hand than you during any given defensive conflict, you probably came out ahead in that conflict, overall. Trading a province for 2 to 3 cards out of their hand could be a potentially great exchange for you in the long run. Especially if, by defending intelligently, you allowed yourself to effectively counter attack and take one of their provinces in kind. If you did so and didn’t allow the break, that’s even better. Unfortunately for me (and all the other Crab players), my ‘defensive’ cards barely reward me for what I view as a defensive victory (saving the province). Instead, it’s often all or nothing. And, in a game where attackers win ties, that all or nothing outcome for many of your cards can be very detrimental overall. I’ve had multiple games where, if my opponent didn’t accidentally run into Defend the Wall with a weak attack, it never resolved in that game, because my opponent would only go there when they were confident that they’d win (typically on political, since that is very difficult for Crab to win). I’ve also had several games where my Defend the Wall was farmed for rings (attacked each round, but not broken, for easy rings with no province action that hurts the attacker) because I was never able to mount a sufficient political defense to win without committing my entire board state (which is often an awful idea). This made the province essentially blank and abusable by my opponents. In this way it almost behaves like a trap card (not in the Yu-Gi-Oh sense), since you subconsciously feel obligated to try and defend and win when they attack it, sometimes ending in an unnecessary over-commitment on your part. Whereas, with Rally to the Cause or any other province that is blank once revealed, you’d be more inclined to allow them to break it so that they have to attack a province that actually does something for you, as the defender. There will be times when winning on defense, not just stopping the break, is critical. The air conflict that will take your last honor. The Void ring that will send your big character away the turn before you really need them. Any conflict that Hotaru or Toturi is about to double tap you with. And in those situations, in the current card pool, there is very little Crab can do that increases their chances of winning on defense when their opponent is truly committing to winning that conflict. If your opponent has more military strength than you sitting on the board (say, their board state is Toturi, Honored General, Lion’s Pride Brawler to your Kisada, Borderlands Defender and Steadfast Witch Hunter), you have no in-clan cards that will make winning that conflict any easier on defense (with your stronghold and Lion’s stronghold essentially cancelling each other out in an all-out battle). So If Crab Aren’t Good as a Defensive Clan (Yet), Then What Are They? The one ‘defensive’ card that I truly adore is The Mountain Does Not Fall, but not because I think it’s a good defensive card. I love TMDNF because it’s a great tempo card. In a game where you may only have between 2 and 5 characters on the board at any given time, getting two (or even three) conflicts out of one character is incredibly valuable. If you defend with a character, play TMDNF on them, defend their second conflict with that same character and then attack with them as the final conflict of the round (if you’re second player), then you just tripled that character’s value. For 1 fate. That’s a tempo play that very few clans have access to. And it’s, really, the sole reason the Borderlands Defender is anything beyond a purely average card, since having a TMDNF’d character be bowed or sent home can be quite frustrating. This ties perfectly into cards like Reprieve and Vanguard Warrior as well (and Kaiu Envoy, Way of the Crab and Steadfast Witch Hunter and, basically, all of Crab’s good cards). Getting superior value (such as cards, fate, honor, conflict participation and board state presence) out of your characters compared to what your opponent is getting out of their characters is how Crab typically wins right now. That is the definition of a tempo deck in my book. To be fair to them, Defend the Wall and Staunch Hida also do have some application in terms of generating tempo because they essentially prevent your opponent from “chump attacking” (in military conflicts at least, re: Staunch Hida… Don’t understand the dash political at all…) or attacking with a low cost character alone with the intention of drawing defenders and/or taking fate from rings and/or forcing you to claim rings so that you can’t take them on offense (like declaring a Void Ring when you really don’t want to get hit back with the Void Ring). So if your opponent declares a 2 strength political conflict with the intention of denying you that ring on offense and runs into your Defend the Wall, you could defend with a more significant group of characters, win on defense and trigger the very ring they were trying to deny you. Don’t attack with military and lose an honor to the Intimidating Hida. This is an interesting interaction and makes the defensive nature of the deck intriguing, albeit nascent in its development. It’s the reason that I want to test the Staunch Hida at all. You can also, obviously, Charge a Staunch Hida into a winning defensive conflict to trigger the effect as well (Or use Talisman of the Sun to move a winning conflict over to your Defend the Wall). I really enjoy that aspect of those cards and that does provide some value to the clan. By making it so that your opponent cannot declare chump conflicts, you are getting more value out of your characters (because any attack your opponent makes they need to put additional effort into winning, lest they suffer the consequences of losing to Crab on offense). So, if we go back to that previously stated theoretical board state of Toturi, Honored General, LPB vs Kisada, Borderlands Defender and Steadfast Witch Hunter, it will be very risky for your opponent to declare only one attacker into Defend the Wall (or Staunch Hida, if you had her), because you could defend with, say, 2 characters, The Mountain Does Not Fall one of them, win on defense and then attack back against their board that is now one character down, after claiming a ring and gaining the ring effect on defense. Alternatively, they can do an all in attack, as that is the best way to ensure winning, and now you can choose to either not defend, or defend very lightly, which will then allow you to declare your own conflicts with more freedom due to their characters being bowed from attacking. Something I see too many Crab players do in that situation (Lion player attacks with all 3 characters) is they defend with their own 3 characters. That’s…basically the worst possible thing you can do, unless it’s your 3rd or Stronghold province. A situation that you could have converted into an advantage (Forcing your opponent to over-commit on offense due to the threat of you winning on defense and then swinging back even harder now that their potential defenders are all bowed) you, instead, converted into a disadvantage by over-committing in kind, in a conflict where you lose ties and often gain nothing from winning (and have no in-clan cards that give you a distinct edge over your opponent in said conflict). After all, there is currently one single card in the game that rewards the attacker for winning a conflict by more skill than the province’s strength, Fallen in Battle. And that’s a bad card, generally speaking (I understand there are some potential janky combos that can abuse it). So winning by 5 strength and winning by 15 strength are functionally identical, in the eyes of the game (for the time being). If you know your opponent is going to break a province based on how much they commit to the conflict (like if they do attack with all 3 characters, a strength of ~17, give or take a few), it’s better to expend as few resources as possible in defending (typically one character to prevent the unopposed honor loss, if you even care about that, board state dependent) and gain an advantage on offense than it is to attempt to win a conflict that the game’s design inherently favors your opponent in (since, again, attackers win ties). What Would Make Them a Better Defensive Clan? Well, that’s the easy part. Give them cards that actually help them win on defense…That may sound repetitive, but it really is that easy. Mirumoto’s Fury should have been a Crab card. That’s the kind of card we need. Or imagine if the Crab were given a character that had an action that said “Target character cost 3 or less does not contribute their strength when attacking while this character is participating as a defender.” (Editor’s Note: Written before Stoic Magistrate was spoiled. I’ll leave it in because I like that I was in the ball park of the actual design :P). Or a defensive analogue to Lion’s Pride Brawler (Call it Crab’s Duty Brawler). Or something as simple as Political Rival “When this character is defending, they gain +2/+2 strength.” Then, suddenly, you gain a significant edge in defending. One that we don’t currently have now. Cards like that will create positive tempo in that the characters are offering additional value when defending, while simultaneously strengthening the existing cards in the deck like Defend the Wall and Staunch Hida. As it stands now, reactions to winning on defense are good, but are limited in their use if we have no viable ways to “gain the edge” when defending. All that said, I’m not even entirely convinced that Crab wants to go down that road. This game isn’t like A Game of Thrones, where you can play defensively and protect The Wall and win without declaring challenges. 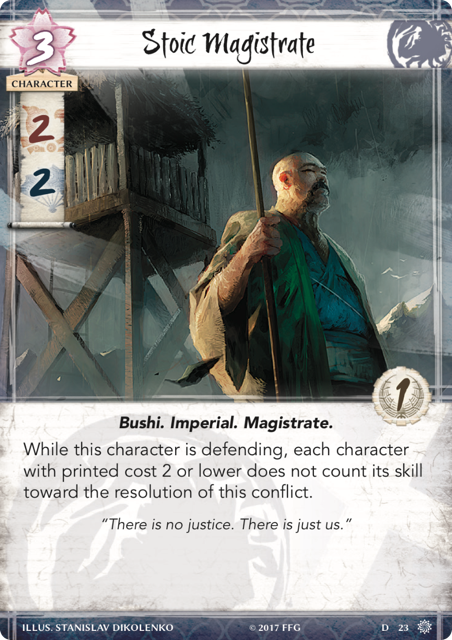 In L5R, you need to win conflicts on offense, break provinces and/or win rings to pressure honor/dishonor. There is currently no viable means to winning the game that involves turtling up and not declaring conflicts. So, while cards that help win on defense would strengthen some of the cards we have today, I kind of hope the designers don’t spend too much of Crab’s “design capital” (Theoretically, each card is only allowed a certain amount of strength or value per fate spent, despite a few aberrations currently in the card pool ) on purely defensive stuff. Not only will an overly defensive design for the clan encourage people to drag games out by defending too often (If you defend both their conflicts but then don’t declare any of your own, that round basically didn’t happen, with the exception of Defend the Wall type abilities) which will make winning within the time limit at tournament games rather difficult, but it also makes winning the game itself needlessly round about for the clan as a whole, since so many cards do not lend towards a tangible victory condition. That would suddenly make turtling a legitimate strategy. But then you get into the whole argument of being an NPE (Negative play Experience) deck and that would totally go against the philosophy Brad and Nate expressed during their discussions of the game leading up to release: That the non-interactive honor/dishonor decks from Old L5R are not part of the design strategy of this game. They made Political a conflict type explicitly to make winning conflicts (usually on offense) a key part of winning the game, even for non-military clans. To sum this whole thing up, Crab were given cards that want to defend and win on defense, but they were not given any cards that actually help you win on defense. The best defensive cards they have available to them are the ones that offer tempo rather than defensive capabilities and, until the clan is given some legitimate defensive advantage cards (like Mirumoto’s Fury), their win on defense cards will be better at altering your opponent’s attack strategy rather than actually triggering with any level of consistency (a valuable trait, but not ideal for what the cards cost, fate wise and opportunity cost wise). You can splash certain cards into your deck to improve your defensive capabilities, such as the aforementioned Mirumoto’s Fury or Political Rival, but that hardly solves the problem at the core of the design; that Crab have trouble doing it by themselves. We have seen a few spoilers that will…help a little bit on defense. Raise the Alarm and Pit Trap are theoretically defensive cards…However, they don’t appear to be all that reliable or powerful in the current card pool. Raise the Alarm relies on your opponent attacking a face down card (in my experience people typically like attacking face up characters if you have any in your provinces. This card’s existence will only further enforce that tendency) and also only works in military conflicts for some reason. So that’s 1 conflict out of 4 that round in which that card is even able to be used. Even if you do trigger it, its result is unreliable. That face down card may be a Hida Kisada. It may also be an Eager Scout (If you’re still running that card). Or, if it’s a unique character that you already have in play (a Kisada duplicate when you have Kisada on the board), you can’t even bring them into play as a defender. So the result is variable and unreliable, the trigger mostly relies on your opponent’s choices (you could theoretically charge a character in from the province and then Raise the Alarm if they attack a face up character, among a few other weird combos to make a face up card become a face down card) and you won’t know what you’re getting until you flip the card, which means it’s harder to plan your defenses if you are intending to attempt to win on defense. Then Pit Trap is a 3 cost attachment card that, in the actual conflict in which you play it, only provides a net loss of 1 strength in the conflict for your opponent. It can also be Let Go (38% of splashes at worlds were Dragon, and 18% more were Dragon main clan, meaning 56% of the field had access to Let Go. This is not an insignificant downside of the card). The hope is that, as more cards are released, Dragon splash becomes less ubiquitous, but for at least the time being, this is a major pitfall of the Pit Trap. It doesn’t help that Cloud the Mind is also in many decks, only increasing the value of Let Go. So its value as a defensive card is questionable. And then, even if it does stick to a character and they can’t ready during the regroup phase, your opponent can always ready them with the Ring of Water or Against the Waves or I am Ready or Steadfast Witch Hunter or any other future readying affects, so you’re not even really guaranteed value out of the card relative to what you paid for it. I don’t mean to write these cards off entirely before testing them. I know people don’t like dismissive reviews of cards that have potentially big impacts on the game (albeit difficult to trigger/keep on the board), but I’m just stating how I feel about them at first glance. I’ll still test them just to confirm my own biases :P.
[Addition in the eleventh hour] The Stoic Magistrate was spoiled the other day that makes defending to win a bit more interesting. For those who can’t click the link I provided earlier in the chat (it isn’t on fiveringsdb yet, so that link is to the Discord chat’s spoiler of it, which you may have to join the group to see), it’s a 3 cost 2/2 with 1 glory. Bushi, Imperial, Magistrate. Text: While this character is defending, each character with printed cost 2 or lower does not count its skill toward the resolution of this conflict. This is a genuinely powerful defensive card. Crab is really good at controlling the boards of clans that rely on the high/low strategy (1 or 2 big guys, 1 or 2 small guys), with Assassination and Way of the Crab. One strategy they cannot control as well are the decks that spam out nameless 2 cost characters with 0 or 1 fate (Like Lion and, sometimes, Crane). This guy is extraordinarily helpful in standing in the way of that strategy. And, since it isn’t a triggered ability or anything, if you have means of getting him into several conflicts per turn (Favorable Ground, Favored Mount, ready effects), you could potentially shut your opponent’s strategy down for an entire round. I’m looking forward to testing this character and seeing how they do in those situations. Ironically, this character may be another deterrent to your opponent, rather than a character that genuinely helps you win on defense. Since he only works on defense, that means your opponent can choose to attack with their 3+ cost characters and defend with their 2 cost characters instead. Manipulating your opponent’s attacks is a good effect, but I still am not sure he’d actually win all that many conflicts on defense, unless you surprise move him into said conflict (Charge, Grounds, Mounts) or unless your opponent is in a bad board state (they are only seeing 2 cost characters and has no choice but to buy them). It also doesn’t help that he cancels out your 2 cost characters as well. This makes it a bit dicey trying to combine him with the Staunch Hida, since the Hida would not contribute any strength to the conflict while participating with him. The same can be said for one of our other higher strength defensive cards, the Hiruma Yojimbo. So, while this character could be very good in defensive themes, he may also conflict with a few of the other pieces of said deck strategy. Only time will tell :-). Bottom line, I’m sure there will be a time when Crab will want to defend and win consistently and will gain many rewards for doing so. I am just not convinced that that time is now. Consider not running Defend the Wall, as we are not the best at utilizing it right now, unless you are splashing Dragon for Mirumoto’s Fury. It won’t always be the right choice to not include it, but there are arguments for not including it that are valid. Utilize your best defensive cards (like The Mountain Does Not Fall) for tempo advantage rather than trying to win on defense with them. Prioritize preventing breaks and/or forcing your opponent to over-commit, rather than preventing wins overall. The more cards you force your opponent to play to break provinces, the better. Provinces are just resources after all, so losing them isn’t necessarily a bad thing, if you lost them productively (they over-committed characters or cards in order to break whereas you didn’t commit all that much in return). Look forward to getting cards that will actually help you win on defense, which may invalidate this entire article :P.
If you’re having success playing defensively and don’t agree with this article, I encourage you to keep doing you. I don’t want people to take these articles as any kind of definitive guideline or practice. Play the way that you have the most success. I am just speaking in regards to my experience and what I’ve seen/heard from other Crab players and their experiences.Thank you for taking the time to read this and I hope it wasn’t too much of a downer for you. I firmly believe that Crab is one of the best clans available in this game. I just don’t think defending should be as big of a priority when playing them as the card designers (and many of the players) seem to think. 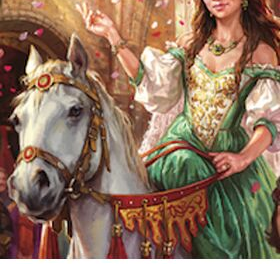 PreviousThird Cycle Review Series Announcement and Cycle Four Spolers! An interesting read, like always 🙂 Do you think that now with the Stoic Magistrate, the Staunch Hida and the Unicorn attachment that let you change the province that’s being attacked we will start to see more defensive-based decks? I could see an argument for it. Ironically, I don’t think Stoic Magistrate is actually going to win all that many conflicts on defense. I think what he’s going to do is actually make your opponent attack with their 3/4 costers and defend with their 2 costers. Consequently, I think his existence on the board will make my opponent bypass purchasing 2 costers as often, which makes their board more susceptible to Way of the Crab :D.
If you charge him in, it could win a conflict, but otherwise I am not sure how many times your opponent is going to just waltz into negating their characters’ strength by attacking with them. The Talisman doesn’t directly help you win conflicts, but you could force them into your Defend the Wall when they are losing, which would be nice. Same with Staunch Hida, this will just make your opponent pass conflicts that they aren’t confident that they can win. All these things add up to creating barriers for your opponent, such as stopping them from making chump conflicts and changing the way they attack and defend, but I don’t know if they will add up to a significantly higher number of wins on defense. That’s fair. I was not kind to the defensive cards in this article haha. 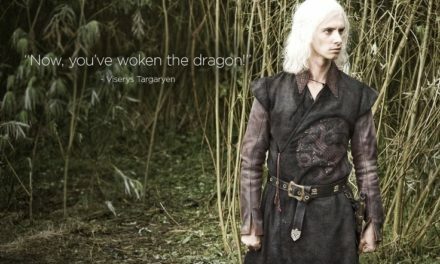 I just know from Night’s Watch in Thrones, we got a lot of “after you win on defense” cards that seemed great on paper (Such as Thoren, for those who are Thrones literate) but it was just too difficult to win on defense since there were so few effects that helped you win on defense. Now, granted, Thrones is a much more straight forward game than L5R. In Thrones, if you declare a conflict with more strength than your opponent is capable of defending with, you’ll win that challenge 99% of the time. 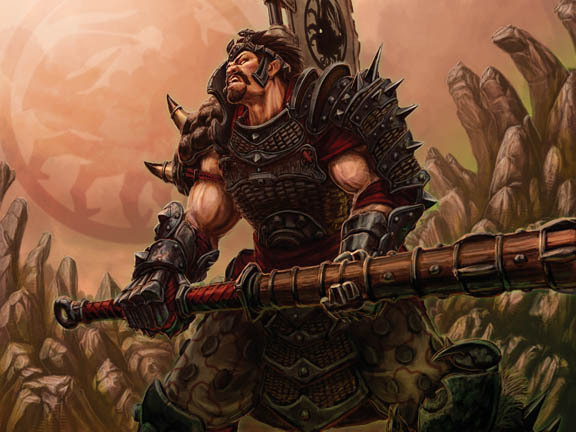 In L5R, a defender can defend a 7 strength conflict with a 1 strength character and win through a multitude of effects. And there are ways to win on defense more consistently in L5R, like with Rout and things like that.